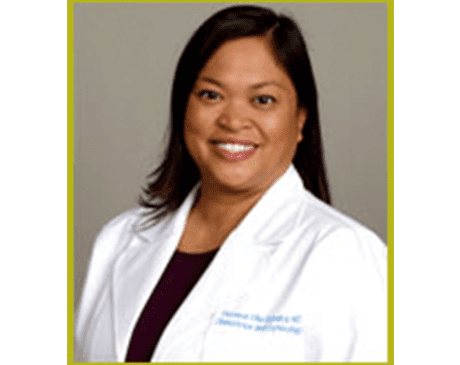 Florence Villa Quinata, MD, FACOG, is a board-certified OB/GYN practicing at Platinum Women’s Health in Murrieta and Temecula, California. Dr. Villa Quinata has committed her medical practice to helping women improve their health whether they’re just reaching womanhood, growing their families, or approaching menopause. Dr. Quinata completed her medical degree at the Uniformed Services University of the Health Sciences, in Bethesda, Maryland, before serving her residency at the Naval Medical Center San Diego in California. She is certified by the American Board of Obstetrics and Gynecology and is a Fellow of the American College of Obstetricians and Gynecologists. Dr. Quinata’s interest in women’s health began while she worked as a medical assistant in a fertility clinic, where her passion for helping women conceive and grow their families bloomed. She focuses her practice on assisting women to optimize their health in preparation for conception and pregnancy, but also to enhance their overall wellness throughout their lives. She helps her patients make the best possible choices regarding their health care by educating them about their bodies and health needs.